Car insurance is a necessary expense, yet many people lack the coverage they need in an effort to get the cheapest rate. While the monthly premiums may be lower, the amount of coverage this allows in the event of an accident is limited. However, the quality of a policy does not have to be compromised in order to get the best deal. By following some simple tips, a great rate can be maintained with ample coverage. One of the most efficient ways to get the best car insurance rate is to maintain a clean driving record. Insurance companies must determine the liability of each customer; if they see a client has a record of reckless driving, that person becomes more of a risk for them to cover. By adhering to all rules of the road and never driving under the influence, this is relatively easy to attain. Most people have a dream car they will likely never own; however, in the event that it becomes possible to acquire a newer model, it should be taken into consideration that the insurance will likely be higher as opposed to an older model. When seeking ways to save money on car insurance, it all starts when the consumer picks out the vehicle they will be insuring. The insurance market is a competitive one. In order to understand what deals are available, it is necessary to shop around. When doing so, however, consumers should beware of offers that sound too good to be true; they often are. Rather than being primarily price-oriented, smart shoppers will investigate the integrity of a car insurance company prior to paying for a six month policy. It is good practice to make a note on the calendar about a month prior to an existing policy’s expiration date. This gives the consumer plenty of time to search out current offers and make an educated decision in their new policy. If a policy feels right but is just a bit more expensive then the shopper is able to afford, it is often possible to adjust the deductible levels in order to better accommodate. Those shopping for insurance should understand that these levels can be adjusted to fit the individual, and they are encouraged to ask how these aspects can be modified. In attempt to keep up with the competition, most insurance companies offer special discounts to both encourage new business as well as retain current customers. When shopping around, customers should always ask what kind of discounts they can take advantage of. For example, some companies will offer a lowered rate if homeowners insurance and car insurance are bundled into a single plan. In order to get the best possible rate far into the future, it is vital for consumers to maintain a good payment record. When the bill is regularly neglected, the company could put a red flag on that consumer that other companies have access to. This not only makes it difficult to get a cheap rate, but it can also cause the customer to be rejected when shopping. In the event that a payment must be late, giving the company notice is better than simply not paying. 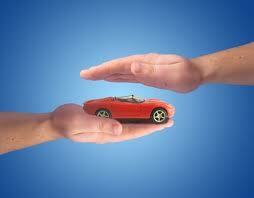 Consider these tips from Kanetix as you try to shop for affordable car insurance. Also be mindful to avoid circumstances that may cause your insurance rates to rise. If you follow these rules, you’ll be sure to pay the absolute minimum price for your insurance premiums.